on the path to transformative growth. Watson can learn from small data sets, protect your insights and help you reimagine workflows to provide AI where and when you need it. Cut out the middleman and improve the time it takes to execute business transactions with IBM Blockchain. IBM Analytics helps you make your data simple and accessible. Organize your data into a trusted, business-ready foundation with the built-in protection and compliance controls. IBM Security helps you work with clients to accelerate and assess threats with security innovation that incorporates cognitive, cloud and collaboration. Become a heavy-hitter with the skills to match when you use our exclusive learning resources. When you graduate from Startup with IBM, you may be eligible to join IBM Partners, our global partner program. Get the market-leading offers, network and support at your fingertips. Apply for Builder. Then, you can qualify for our Premium benefits to scale your solution, depending on your needs and growth. You’re working with innovative technologies like blockchain, AI and etc. Want to grow your business and get in front of 25 Million potential customers? When you graduate from Startup with IBM, you’ll have the opportunity to showcase your solution on IBM Marketplace and leverage our unsurpassed customer network. Go global. Whether you started a business to disrupt an industry or to create meaningful solutions that actually change people’s lives, IBM is here to help you do just that. We are committed to providing access to our technology, our startup community across local and global ecosystems, and expert support so you can focus on growing your business. See how other startups have benefited from Startup with IBM. 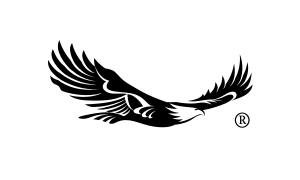 Gliding Eagle uses IBM Blockchain on IBM Cloud to create a transparent system that tracks the journey of products from producer to consumer. Panimood uses IBM Cloud for Moojis, an app that will allow all of us, not just celebrities, to create cool emojis using our own faces. 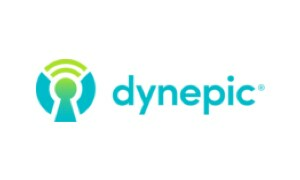 Dynepic’s iOKids creates a safe, COPPA compliant, space for kids to connect with other kids and enjoy tech experiences provided by brands, all while allowing parents to monitor and control the space. IBM Watson Text to Speech on IBM Cloud enabled the app to be used by pre-readers. Start leveraging the most innovative features in the market and jumpstart the development process with reusable pieces of code patterns across data, AI, blockchain and more. We work with select industry leading accelerators that help startups thrive and advance the growth. Interested in becoming a partner? If you are you an accelerator, incubator and/or a VC firm looking to extend our Premium benefits to your portfolio companies, apply to partner with us.